But first back to where it all started. The EuroBasket 2017 kicked off with its preliminary round on 31st August. As usual, my husband and I followed the games of Slovenian team from our home in Switzerland. Slovenian team played very well and qualified to the knockout stage. 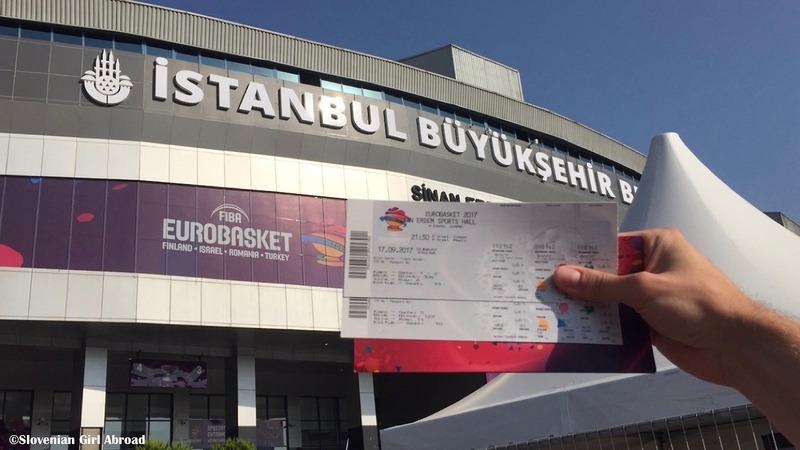 After the quarterfinals in which Slovenia won against Latvia, my husband and I decided to travel to Turkey, to support our team in the final stage of the competition. We booked our tickets to Istanbul and in a few days we were on our way to Turkey. Meanwhile, Slovenian team won the semifinal against Spain what meant we were going to see them playing in the final! We arrived to Istanbul the day before the big match, what gave us opportunity to explore the city. 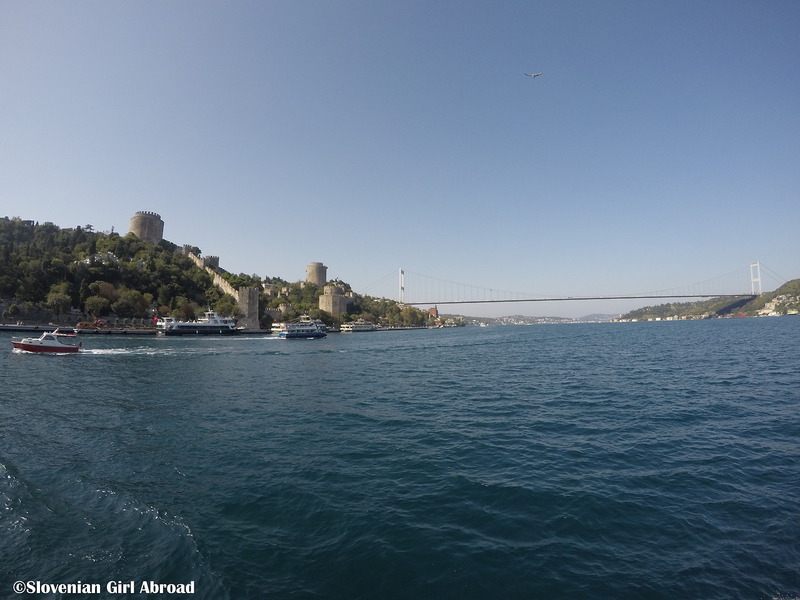 We weren’t able to experience everything what Istanbul has to offer, but we had enough time to see most of the major attractions and experience the vibe of the city. We were based in the hotel in the old town at the European side of Istanbul, conveniently located in the walking distance to the most of the major sights. 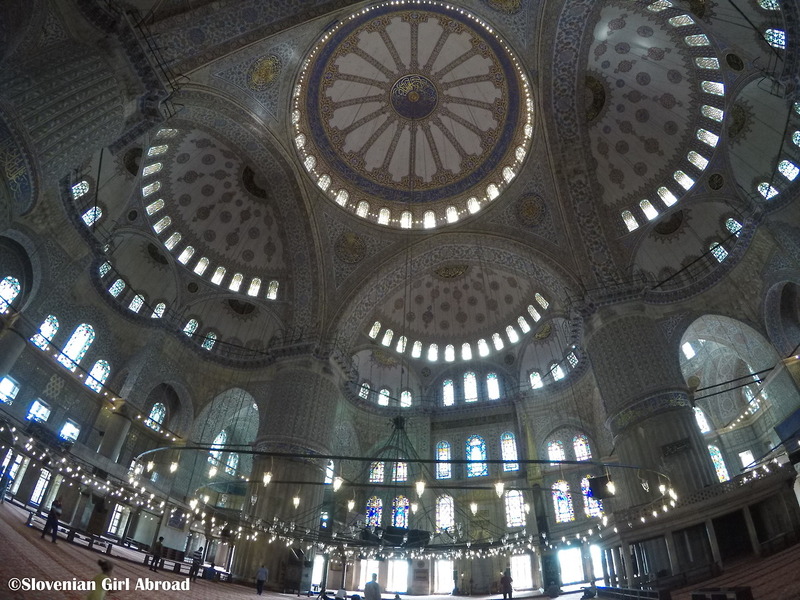 On the day of our arrival we went to see the Blue Mosque, Hagia Sophia (Aya Sofya) and the Grand Bazaar. 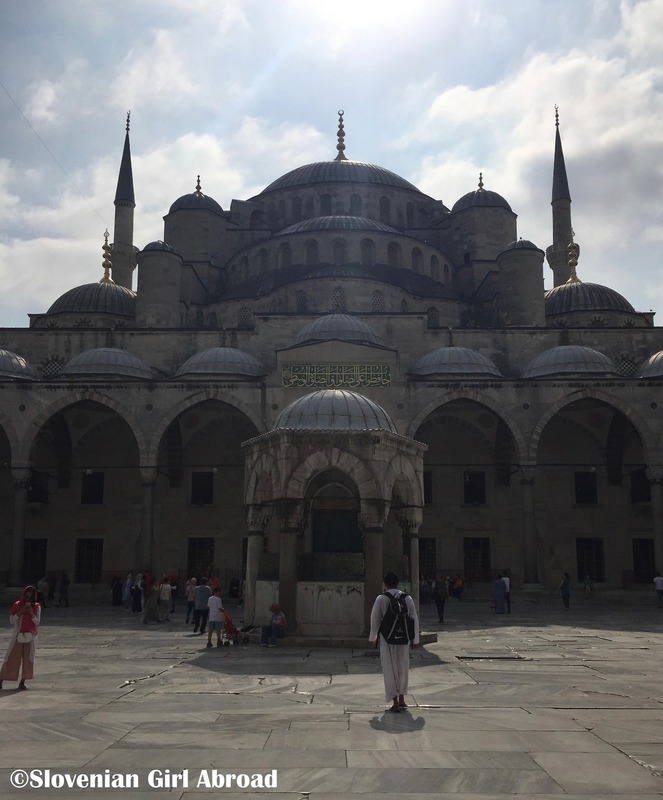 When we arrived to the Blue Mosque (also known as Sultan Ahmed Mosque), we found out it is a time for prayer and mosque is closed for tourists. 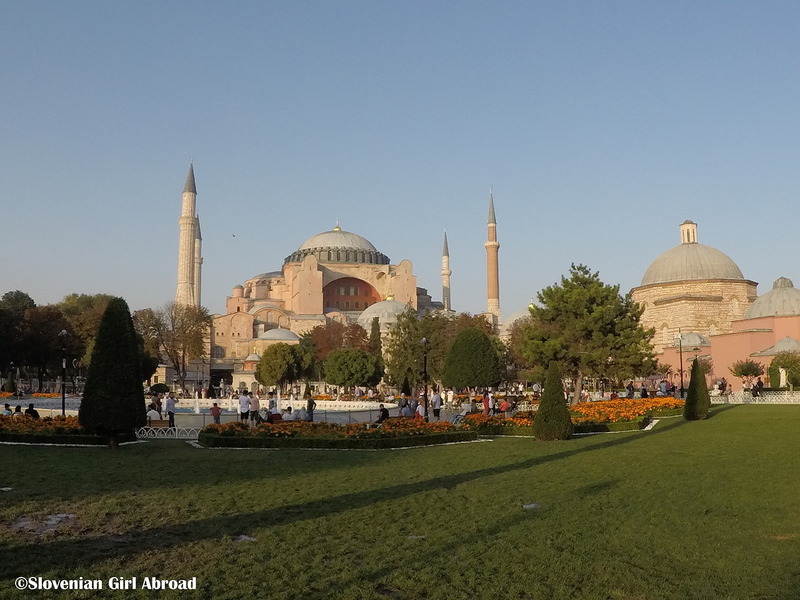 We took a few photos of the building from the outside, then walked through the lovely park to Hagia Sophia, a Byzantine church in 1453 converted to a mosque and later in 1935 converted to a museum. The queue by the entrance wasn’t too long, so we decided to visit it. After paying the admission of 40 TL/person, we were allowed to enter Hagia Sophia. We walked around the building, admiring what an unique blend of different cultures that once ruled Istanbul this building is. 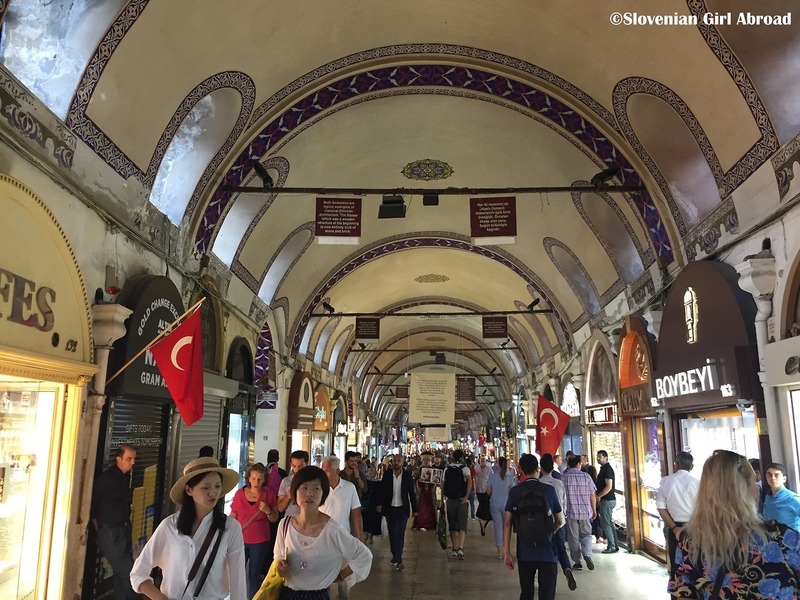 After our visit of Hagia Sophia, we walked through the lovely streets of old Istanbul to the Grand Bazaar – one of the largest and oldest covered markets in the world. The bazaar it’s a maze of interconnecting vaulted passages and it is HUGE. While wandering around and admiring the all sorts of stuff they were selling (e.g. jewellery, spices, clothing etc.) we kind of lost sense of direction. We’ve exited the bazaar at different exit than we’ve entered it. We had no clue where we are. Luckily, with the help of the map, we’ve soon found our our location and found our way back to our hotel. Exhausted from the travels and all the walking we did earlier, I just wanted to lay down and sleep. I wouldn’t mind going to bed without dinner, but that didn’t work for my hungry husband. Somehow, I found the strength to get up. We walked to the nearby restaurant where we had dinner. Filled with all the delicious Turkish food, we returned back to the hotel where I fell asleep almost as soon as I lay down on bed. In the morning of the next day we returned to the Blue mosque. This time we were luckier and were allowed to enter. Before we were allowed to get in, we had to walked past the booth where all the visitors who weren’t dressed appropriately, received the covers – including me. I had my own head scarf to cover my hair and bare shoulders, but my jeans were too tight and therefore inappropriate to enter the mosque. Dressed in the loose borrowed skirt over my jeans, I was allowed to enter. I found the exterior of the Blue mosque much more spectacular in comparison with its neighbour Hagia Sophia, but the interior didn’t impress me much. Floral ceramic tiles and stained glass windows were nice, but they looked almost too pretty and polished for such an ancient building – like they were made few weeks ago and not in the 17th century. After our visit of the Blue mosque, we’ve walked past Hagia Sophia in direction of the Tokapi palace, the former residence of the Ottoman sultans which once ruled Istanbul and the Ottoman empire. The palace is now converted to a museum, but unfortunately we didn’t have enough time to visit it. 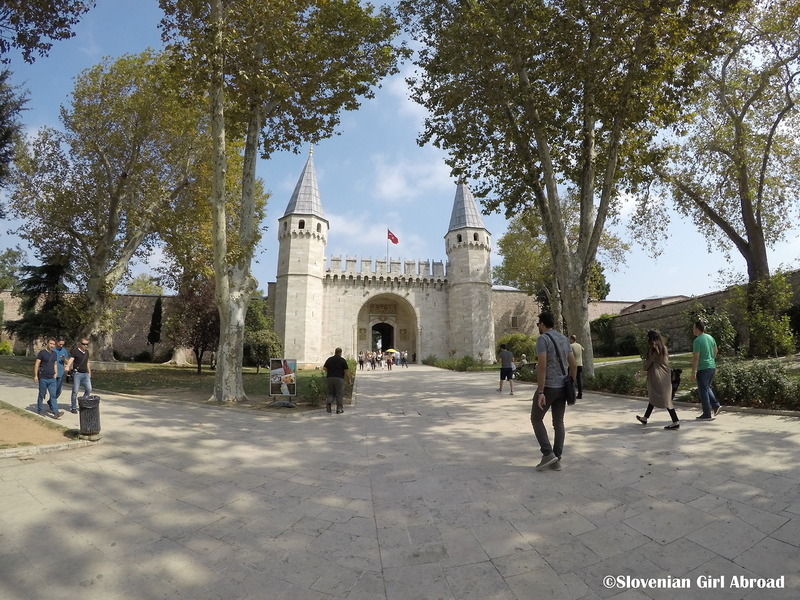 Instead, we strolled around the palace’s gardens and Gülhane Park. After our walk, we went for a quick lunch to one of the restaurants in the old town. Filled with another portion of delicious Turkish food, we returned back to our hotel. 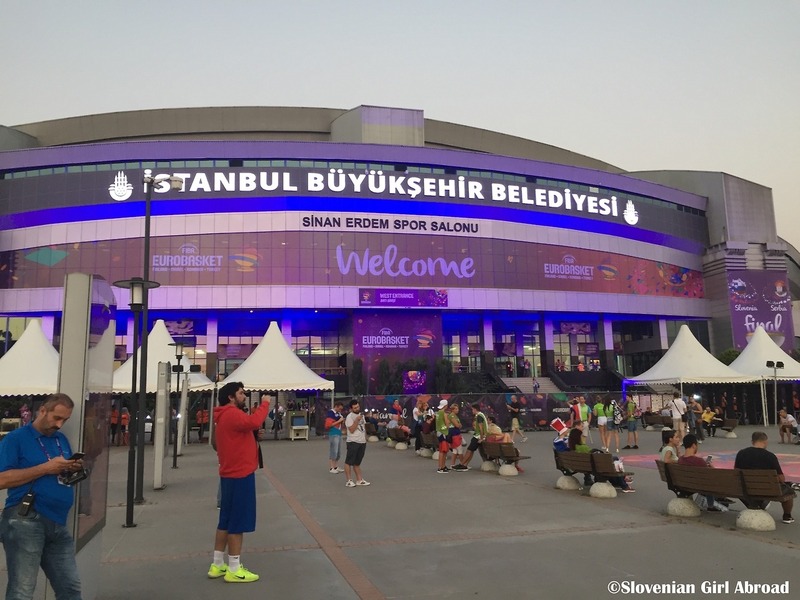 We picked up our cheering equipment and flags and took taxi to Sinan Erdem Arena, where the final matches of EuroBasket 2017 were held. We got tickets for the 3rd place game, played between Spain and Russia. For me, the game wasn’t particularly interesting – my thoughts were already with the final between Slovenian and Serbia that followed, but it was still nice to see such great teams playing. In the time after the 3rd place game and before the final, we’ve met some of our friends. Time flew by, and soon it was time for the final. 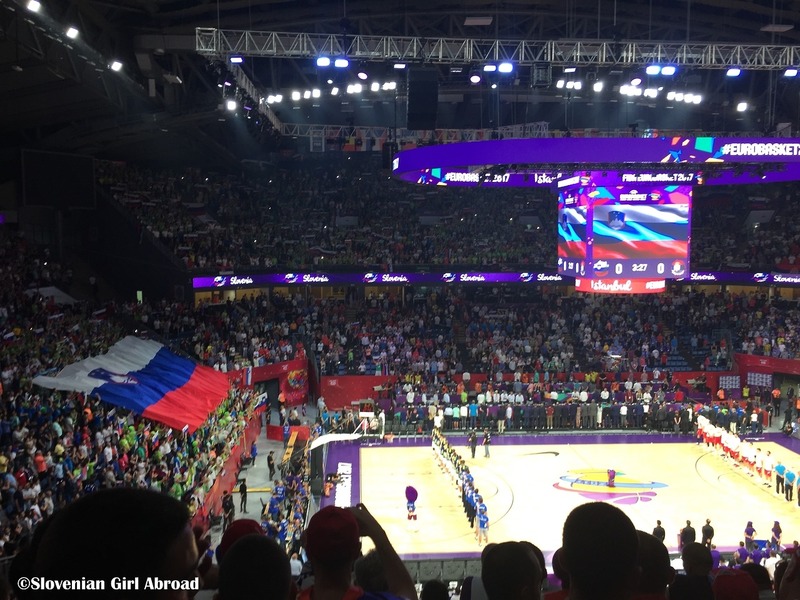 When we got to our seats, we soon found out we were based in the middle of Serbian sector. Almost 3/4 of the arena was occupied by the Slovenian fans, but we’ve ended out in Serbian sector! Damn! Not the way we’ve expected to see the final. Serbian fans can be quite scary – just remember our Belgrade experience. We most certainly didn’t forget it. In the group of Serbian fans that surrounded us, there were definitely some of those fanatics we’ve encountered in Belgrade. We couldn’t not to support our team, but at the same time we didn’t want any trouble. Luckily, we were able to change seats. We’ve missed couple of minutes of the play-time, but on the new seats, we were finally able to support our team as they deserved. The atmosphere in the arena was just amazing! 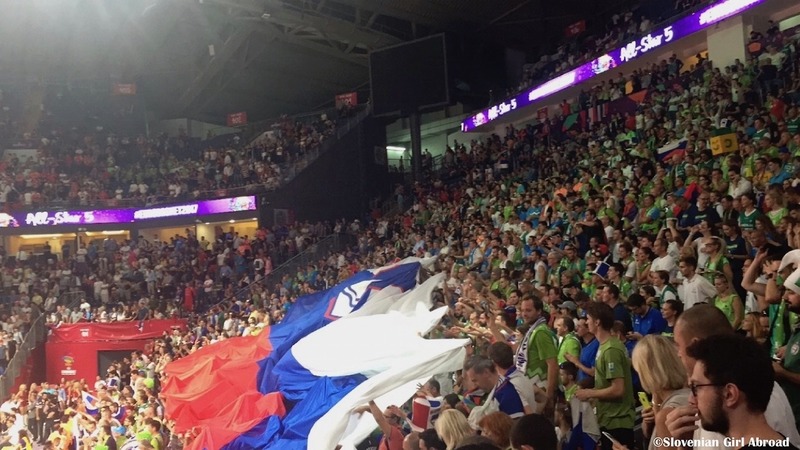 When about 6.000 of Slovenian fans (including us) started to chant, “Kdor ne skače ni Slovenc” (“Who doesn’t jump, he ain’t Slovenian”), I got the goosebumps. Some of Slovenian fans, including us, flew to Istanbul, others drove all the way from Slovenia to Istanbul to support our team. The game was nerve-breaking. Both teams fought fiercely to win, but Slovenians were better! They won their first ever gold medal! Amazing accomplishment for my little country. I cannot express all the emotions, I felt after that final whistle blow. It was beyond amazing. The day after the game, we decided to take it easy. 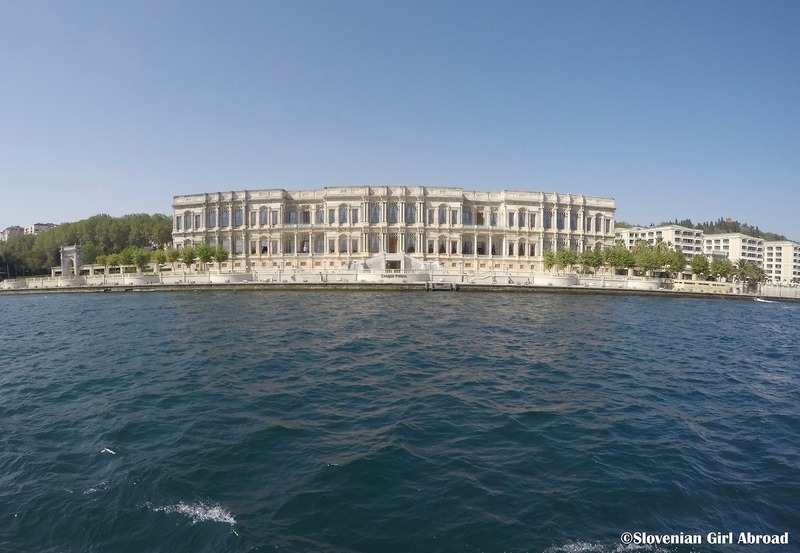 We’ve booked a half-day tour to Bosphorus, a narrow strait and natural boundary between Europe and Asia. The first stop at our tour was Spice market. They took us to one of the stores at the market where we got a quick lesson on Turkish sweets, tea and spices. We also got to taste some of original Turkish delights and tea. 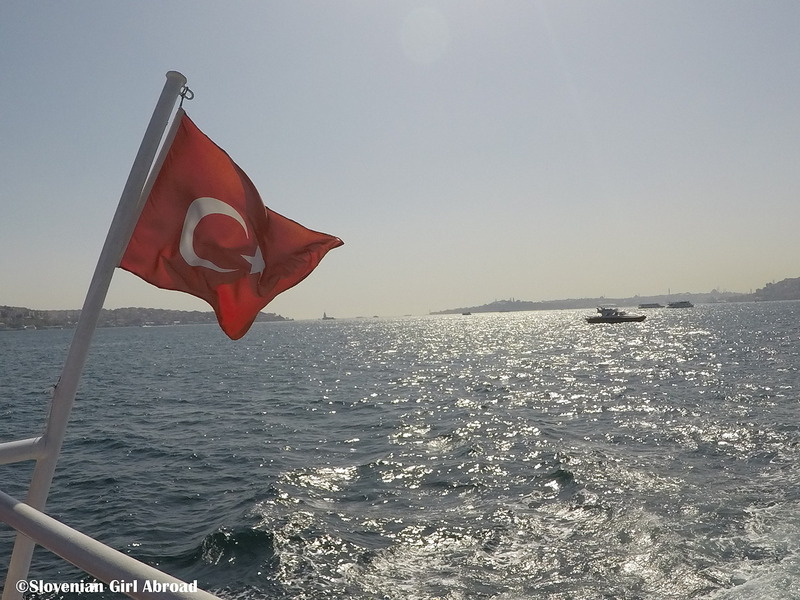 After the visit of Spice market, we were taken to a boat which took us around the Bosphorus strait. All in all, the tour was nice. Even though, it wasn’t the best tour I’ve ever attended, it provided us with some useful information about Istanbul we would otherwise missed. After the tour, we went for an early dinner, then we went back to our hotel where we’ve packed our suitcases and went to bed early to catch some sleep before our early-morning flight. Dolmabahçe Palace by the Bosphorus served as the main administrative center of the Ottoman Empire in late-19th and early-20th century. I must admit, I was pleasantly surprised by the Istanbul. It is just the type of the town I like – the town where you can feel the the town’s history at almost every step. The people were very warm and friendly. The food was great. And the best of all, it is the place where we got to be part of an amazing sports event – the experience that will be hard to beat! Congrats to the Slovenian team. 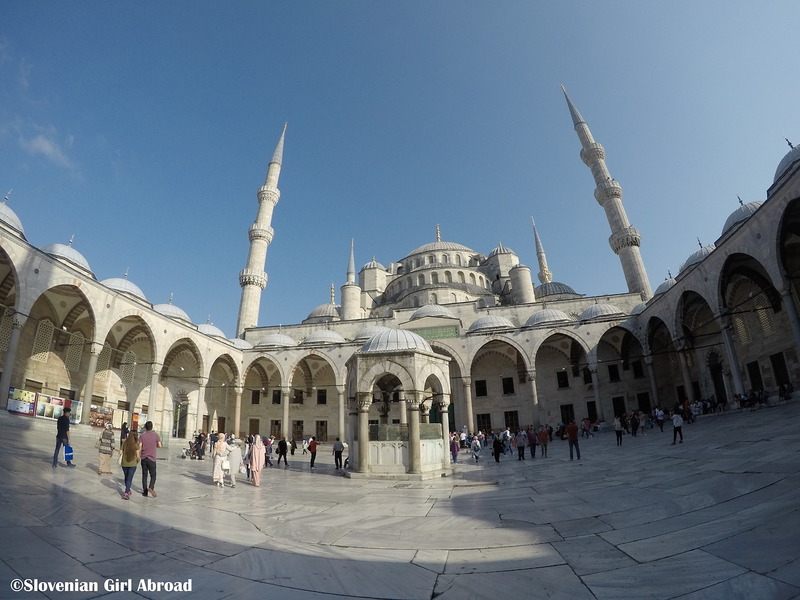 What a great excuse for a trip to Istanbul (not like you needed one). I love traveling to see my teams play too. A few years ago I went to London to see the Dallas Cowboys play there. Thanks for sharing on #TheWeeklyPostcard. I’m a big basketball fan too, although I’m more of an NBA fan. 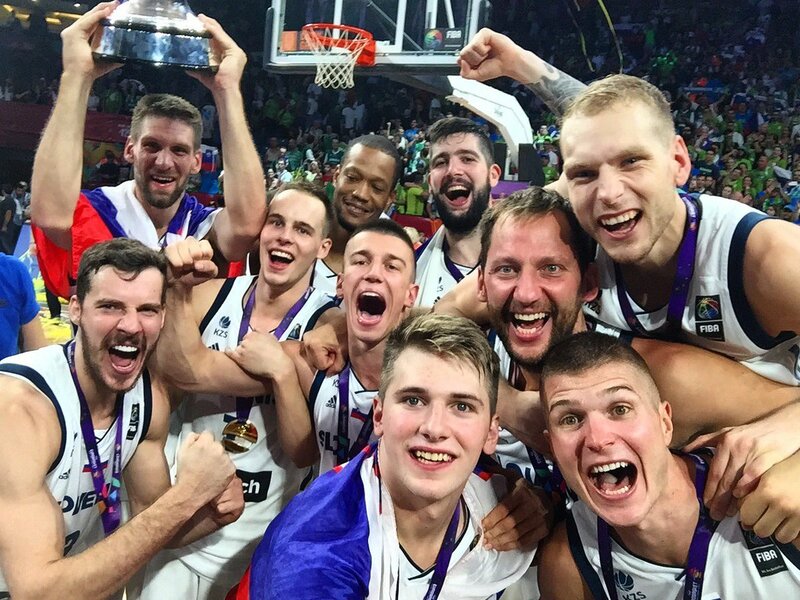 I haven’t been following the EuroBasket so was really surprised so learn that Slovenia won! (I’d have pegged Spain to win, but like I said I haven’t really been keeping up with the European basketball scene – the only player I recognised on Slovenia’s roster is Goran Dragic.) Big congrats to Slovenia for winning!! It must have felt so good to be there and share in the joy. 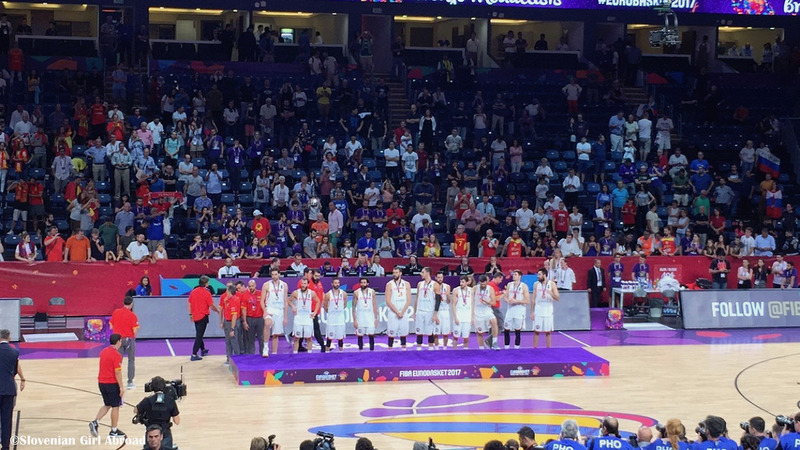 I know first-hand how even more special it is for small countries who have never won before! Yeahh!! I’m so glad you got to experience this moment in person. And good that you were able to switch seats, watching this surrounded by Serbs could be a new version of hell. 😀 I was here in Italy, watching everything online, since I had a very good feeling already after the first game. And I applaud every Slovenian (and all the rest) who went to Istanbul to support our team, and the players and the coaches, of course. Great team effort! I could just imagine how bad it would be to be stuck with the Serb fans. Lol. Glad you got different seats. Congrats to Slovenia! That’s cool you went to Istanbul to support your team! Congrats on winning! would love to see Istanbul one day! Thanks for linking up with #TheWeeklyPostcard! Thank you! 🙂 Yes, apart from amazing experience of watching our team winning, it was a great excuse to travel and explore another city. Istanbul is really lovely place. I hope you’ll have a chance to explore it! A pleasure to finally participate in #TheWeeklyPostcard. Super sta tole zdruzila. Istanbul bo za vedno ostal v nasih ❤️❤️❤️. one of the world’s GREAT cities! Congratulations to Slovenian team! It must have felt amazing to watch it live and be a part of its historic victory. Plus what a great city for the finals! Istanbul is so beautiful and exotic and it’s great that you had a very good excuse to visit the city while attending the match. Thank you Pooja! Indeed it was amazing – I will definitely remember this moment for ever. 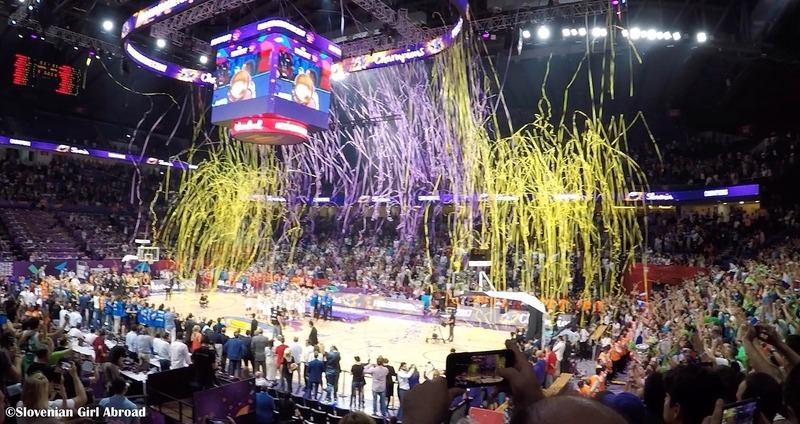 🙂 From the sightseeing perspective was Istanbul great city for the finals, but from the basketball fan perspective not so much. It lacks the that special vibe city hosting such big sports event usually have. Actually, very few locals was aware their city is a host of the Eurobasket finals. I guess, that’s because Turkey was eliminated early in the competition. This is amazing! Congratulations to the Slovenian team. How wonderful! As you know, I visited Slovenia for the very first time in June and everybody was so warm and friendly, and your country is amazing. You so deserve to win! As for Istanbul. I absolutely love it! I’ve only been once. On my way to India! I was flying with Turkish Airlines so I was able to do a stop-over for a night. I stayed in the Turkish part of town and because I was travelling solo, the locals were very helpful when my taxi couldn’t find my hotel! We found it in the end, and they didn’t charge me extra for it! The city is so beautiful. I even went on a hop-on-hop-off bus to tour the city, but I was a bit tired and fell asleep on the top of the bus! I’ve always wanted to go back to Istanbul so that I could spend more time there as I don’t like beach holidays…! Perhaps next time! Oh my gosh. 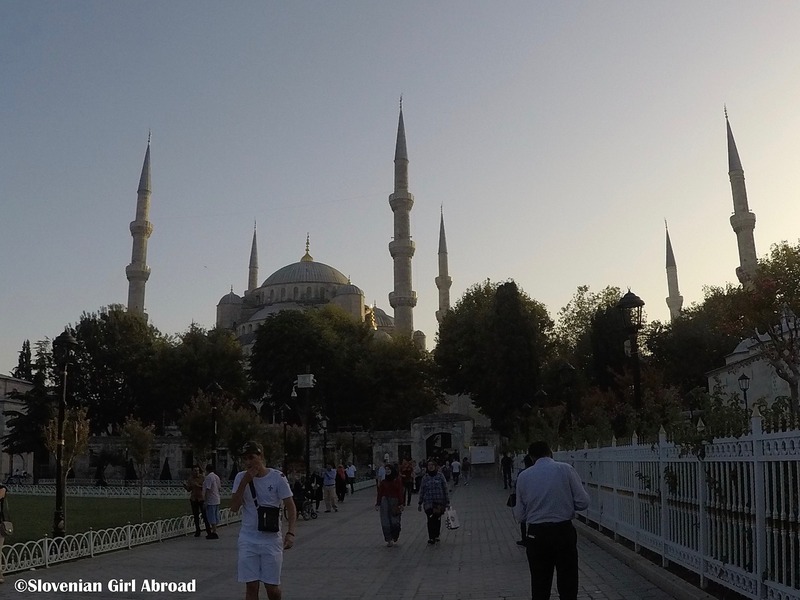 I’ve always wanted to visit Istanbul (have always heard wonderful things from people who’ve been) and this post makes me want to go that much more. 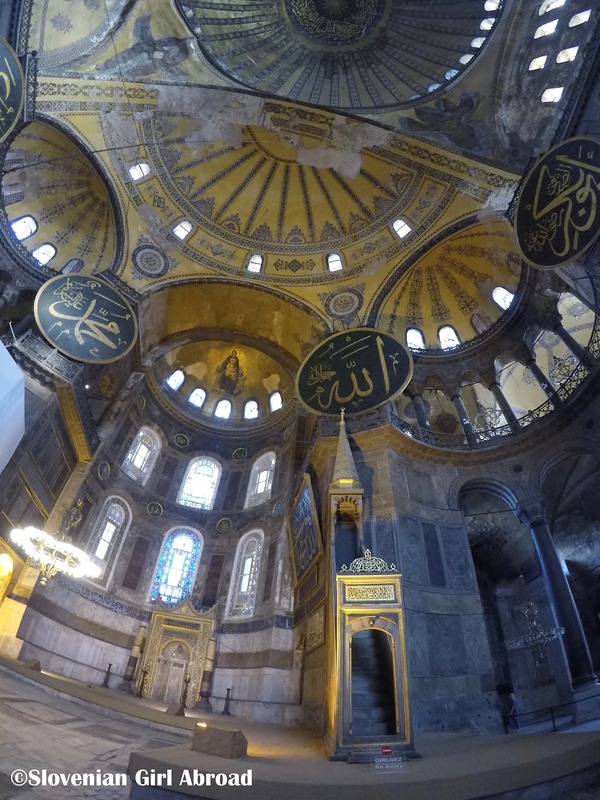 The pictures of Hagia Sophia are stunning and the city looks so vibrant. It feels like a city you could fall in love with. How amazing that must be that you could be there live to witness this moments! Congratulations! We really enjoy visiting cities with such beautiful and opulent buildings. And getting to take in a championship basketball game while there? That’s fantastic! Really enjoyed seeing them through your blog! Thanks for sharing on #TheWeeklyPostcard. Gorgeous photos – and congrats to the Slovenian team!! 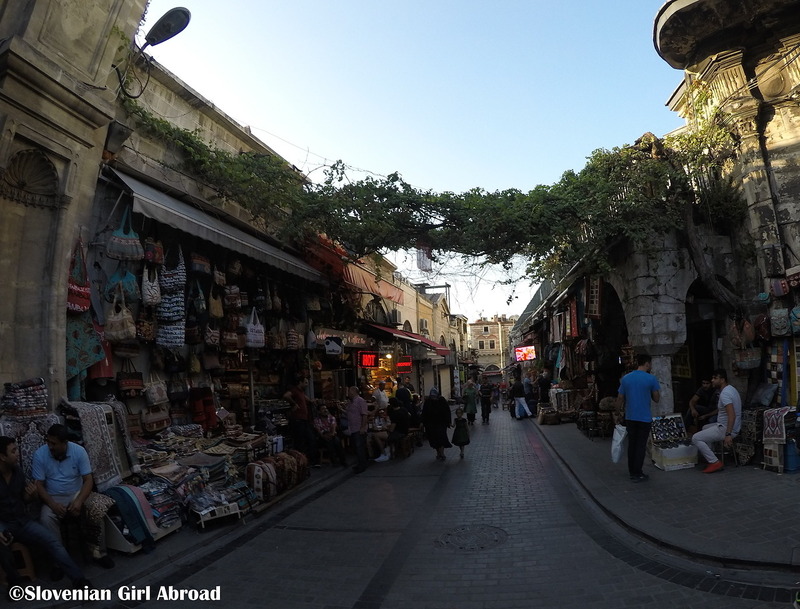 Istanbul just looks so interesting Urska! It most certainly is Emma. Have you already been there?